In my previous post, I discussed how I sold off my System76 Bonobo laptop, and planned to replace it with a new computer. Well, I did… awhile ago. 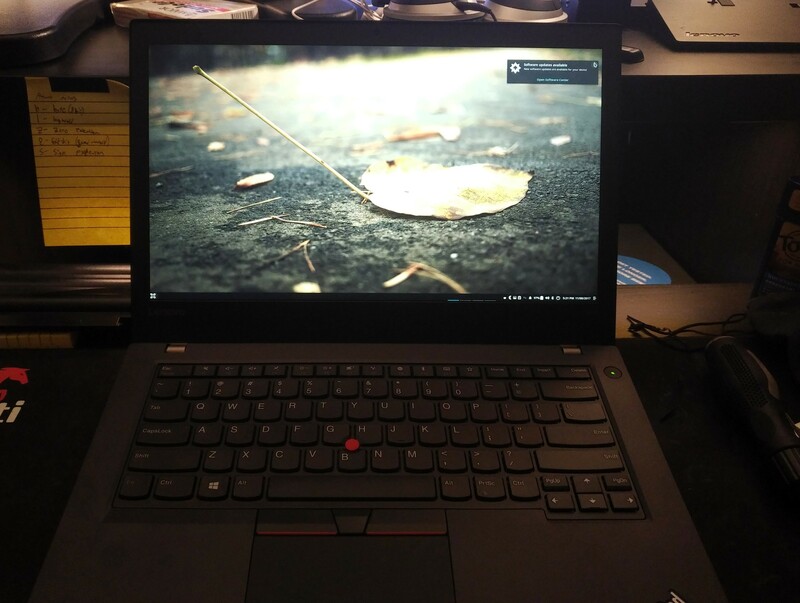 For the last few months, I have been using a Lenovo T470 Thinkpad (with dock) as my new daily driver. Here are my thoughts. The T470 is the 14” model of Lenovo’s “business” laptop lineup. 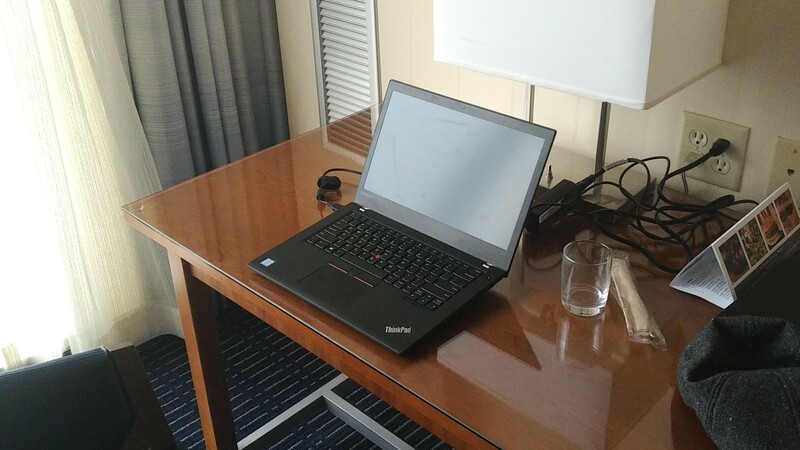 The T470 series actually has several variants itself, including the “high end” T470s, that has a slimmer chassis, made from “higher quality materials”, and a better screen compared to the T470. There is also the “high performance”T470p, which features a faster, quad-core CPU, but a slightly larger chassis. While these variants caught my attention, I ultimately decided on the normal T470. This was partially because I could max the T470 out at 32GBs of RAM (The T470s can only hit 24GB due to one of the sticks being soldered in), but mostly because I assumed that the combination of having a lower powered CPU (compared to the T70p), but a slightly larger case (compared to the T480s) would make it the optimal choice concerning my heat/noise concerns outlined in the previous post. I got my T470 from a vendor on Ebay. It came configured with a 2.5GHz (3.1 GHz Turbo) i5-7200u cpu, 8 GBs of DDR4 RAM, a 14” 1920x1080 screen, and a 500GB Hard Drive with Windows 10 on it. After checking that it booted up fine, I immediately swapped the slow HD with the 250GB SSD that was in my x230, and installed Solus on it. In Solus, everything worked “out of the box”, and I would guess other Linux distributions would as well. For Christmas, I got a new 500GB Samsung EVO SSD to upgrade the 250GB one. In total, the T470 has less total storage than the Bonobo had, but all of it is fast SSD storage. I am getting better at using my server for network storage anyway, so it all works out . 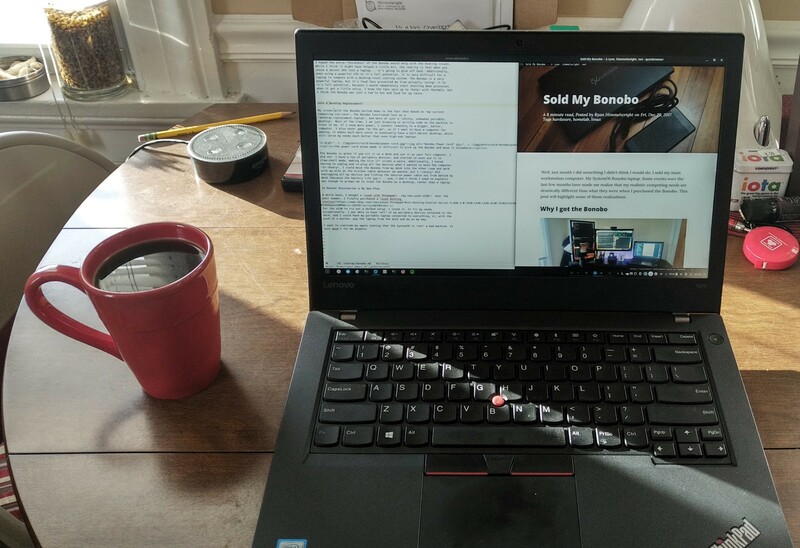 The hardware on the T470 is nice, and the technical specs are okay, but the real killer feature of switching to a Thinkpad for my main computer is that I also purchased the ThinkPad Ultra Dock (40A2). This means that I am able to easily take advantage of my periphery devices whenever I am working at my desk. Now that I’ve provided some background information and a summary, I’ll quickly list what I like and do not like about my new T470. Cool & Quiet - After realizing that I am picky about heat and noise in computers, one of my biggest goals when replacing my old computer was to find one that ran cooler and quieter. I think I did well here. This thing is silent. Using one of my new favorite command line applications, s-tui, I have observed that most of the time when I’m writing code, browsing the web, or listening to music, the fans in the T470 don’t even kick on. When I do push the machine a little by running VMs, or being on a video conference, the do kick up, but even then I have to put my ear right against the computer to hear anything. At it’s loudest, the T470 is still a very quiet device. Size & Portability - I love the size and portability of this laptop. The 14” form factor is large enough that I don’t feel cramped when using it as a stand-alone device, but still small enough that I can easily throw it in my bag and bring it with me. While I wouldn’t mind the T470 shedding a little weight (which is mostly from the battery), I find it’s thickness perfectly acceptable for my uses (hear that Apple?). As far as build quality, it is a solid machine. When I rest my hands on it to type, they feel fully supported and there is zero flex. When holding the closed laptop, it feels as though it could take quite a beating and still be fine. I love that. Keyboard & Track-point/pad - It’s a Thinkpad keyboard, what else do I have to say? The keys are adequately spaced, have travel (though not as much as my x230), and feel crisp when pressed, not mushy. It has a trackpoint with physical buttons, which at this point I don’t think I could do without (Crap. Unintentional pun. Oh well, I’m leaving it.). While I don’t use it often, the trackpad is also quite nice. I find it to be an ideal size, and has rubberized texture which prevents my fingers from feeling raw after long use. I find it hard these days for others laptops to compete with the Thinkpad’s keyboard/track-point setup. Dock-able - I’ve already mentioned this above, but I love that the T470 is dock-able. This is becoming more common with the pervasiveness of USB-C, but Thinkpads have been in the dock game for years. It works well, and fits my current computing use-case perfectly. Thunderbolt/USB C - The big difference between the T470 and the T460 essentially comes down to the Thunderbolt 3/USB-C port on the T470. I don’t use it much so far, but I hope the industry continues the move down the this route, and I will be glad to already have the port as they do. Battery(s) - The battery configuration and life on this laptop is great. 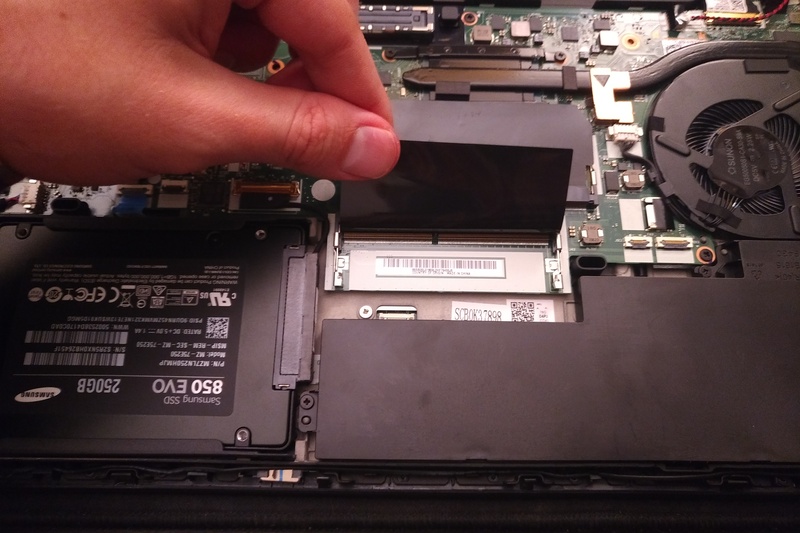 The T470 can get a 3-cell battery that doesn’t stick out, or an extended battery that comes in 6 and 9 cell variations (Note: the 6 and 9 cell are the same size). 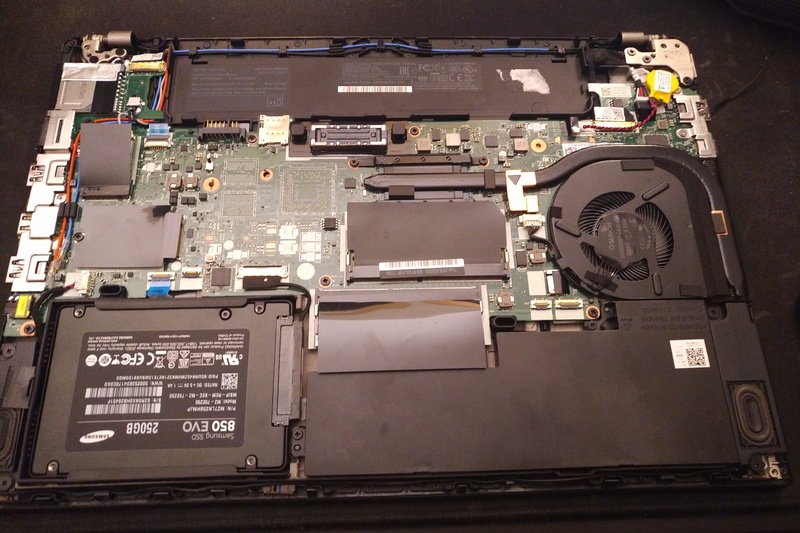 The T470 also supports an internal 3 cell battery, that can be used to keep the laptop powered on while the external battery is swapped. I currently have the least optimal configuration: A bulky 6-cell external, with no internal battery. Even so, it easily lasts me throughout the day, and I can always upgrade it down the road. I love the flexibility. While I overall love the T470, there are a few things I’m not thrilled about. The Screen - When I first got my laptop… I thought the screen was defective. I had read in reviews that it wasn’t very bright, but the colors were terrible. My screen always looked as if I was using something like f.lux. After doing some reading, it turns out that IPS panels (which I had never owned before) can appear warmer in color. That combined with the low brightness and not great color accuracy of the T470 panel, made it appear particularly awful to me. I found and configured a ICC file which helped, but the biggest fix was time. As terrible as it was at first, I really don’t mind the screen. Yea, it could be brighter with better colors, but now I think it looks nice, and colors on top of black really pop. Track-point - I stated in the section above that the track-point was one of the features I loved about this laptop. That is true… but, if I had to get picky, the track-point itself is not that great. It’s hard to move around with and it’s sensitivity differs depending on which direction it is traveling. At times it can be a real pain. By contrast, my x230 is very stable and precise. I wish the T470’s track-point was like the one on my x230’s. Overall, I have been very happy with the T470 as my main computer. I’d still like to upgrade the RAM at some point, and I have entertained the idea of trying an eGPU setup… I might eventually build a new desktop, but even then, I would likely have it headless, running VMs and connect to it remotely from the T470 (except for occasional gaming). That being said, right now, the T470 is working great as is!